Home » Hats from Martha Loewenthal. Art deco fashion 1922. 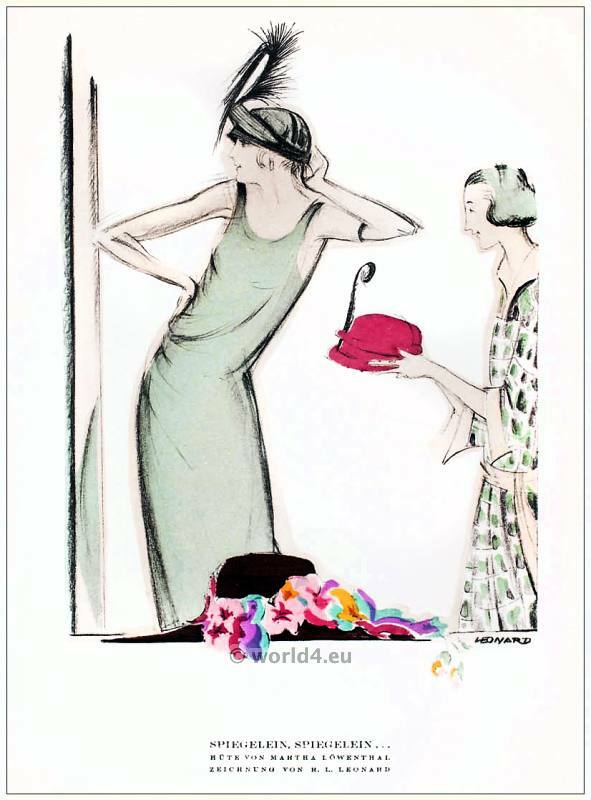 Mirror, mirror … hats from Martha Loewenthal. Drawing by R. L. Leonhard. Style, panel 12 February, 1922. Art deco fashion 1922.